Nissan today unveiled their brand new electric Leaf. 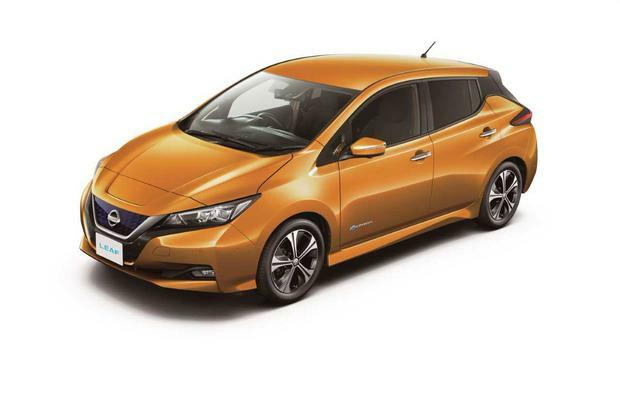 Nissan's next generation electric LEAF will be made at Sunderland, the company has confirmed. It did so after intense speculation that the Brexit crisis might influence a decision to build it elsewhere. But the auto giant has given the green light for it to go into production at the end of the year in the northern England factory as well as at plants in Japan and the US. Irish buyers will begin getting the Sunderland-built new model from February. As we revealed yesterday, it has an extended range between charges and technology that includes an accelerator that also acts as a brake. The decision will come as a boost to the near-7,000 employed at the plant directly and tens of thousands in ancillary businesses across the region. Sunderland is one of the UK's biggest car producers and has been closely observed for its reaction to the Brexit crisis which many believe will make British-made cars more expensive and impair investment. Their English plant built more than 500,000 vehicles last year with the Qashqai the most popular. Batteries for the new LEAF are being made in Sunderland too – but not by Nissan.